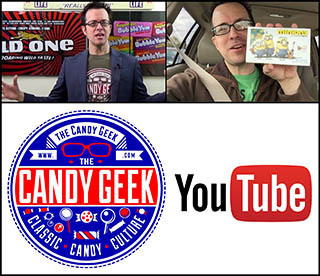 ← Spangler’s 1970’s Zodiac Pops, Super Pops & Big Suckers! 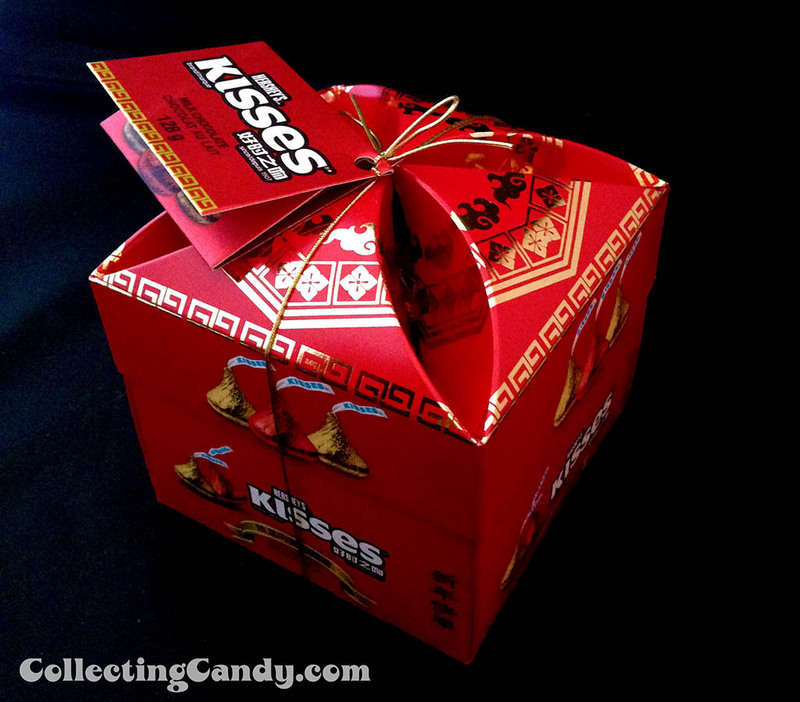 Today is January 31st, 2014 – so here on CollectingCandy.com we want to recognize the celebration of the Chinese New Year! For those that don’t know, in the 12-year cycle of animals that make up the Chinese Zodiac, today marks the beginning of the year of the Horse. 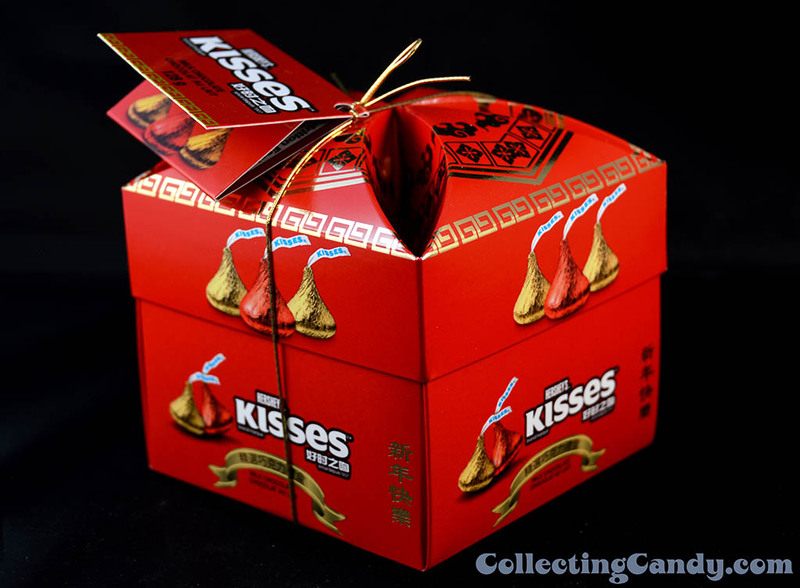 But on the site today we’ll be marking the holiday with limited edition Chinese New Year Hershey Kisses from Canada along with an array of other related and super-cool goodies! 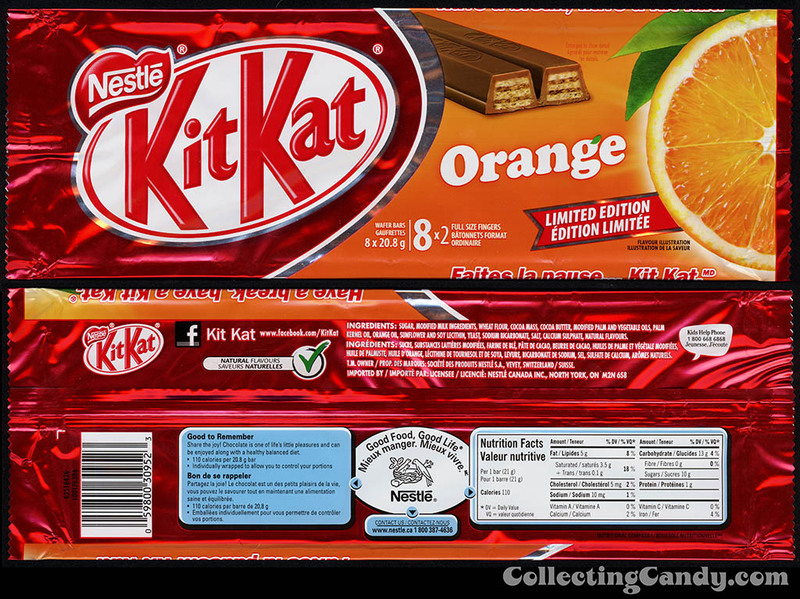 Not long ago, I asked my artist pal Glen Mullaly up in Canada to do some confectionery reconnaissance for me to see if there was anything unusual offered up there that he thought I might like. 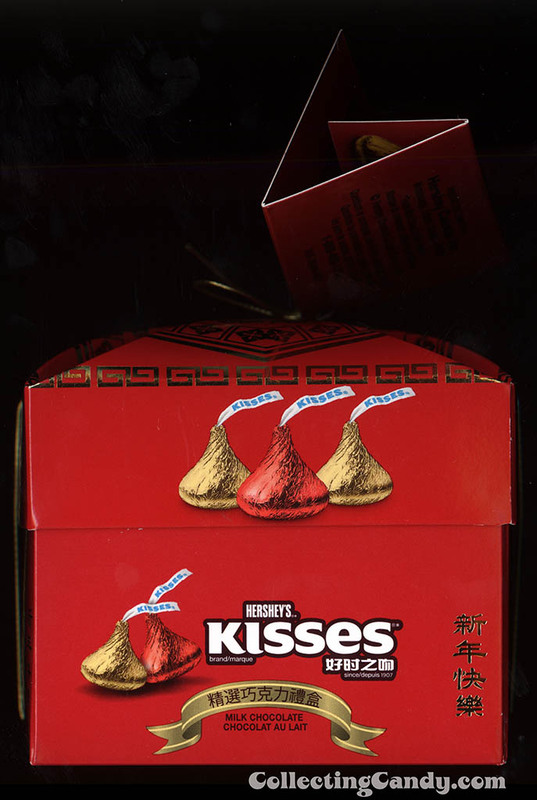 I was surprised when he sent me photos of a pair of special edition candy offerings designed to mark the Chinese New Year. I’d never seen limited editions for that holiday here in the United States, but in Canada they had them and boy were they neat. Upon learning of my excitement, Glen grabbed a couple and sent ’em my way. 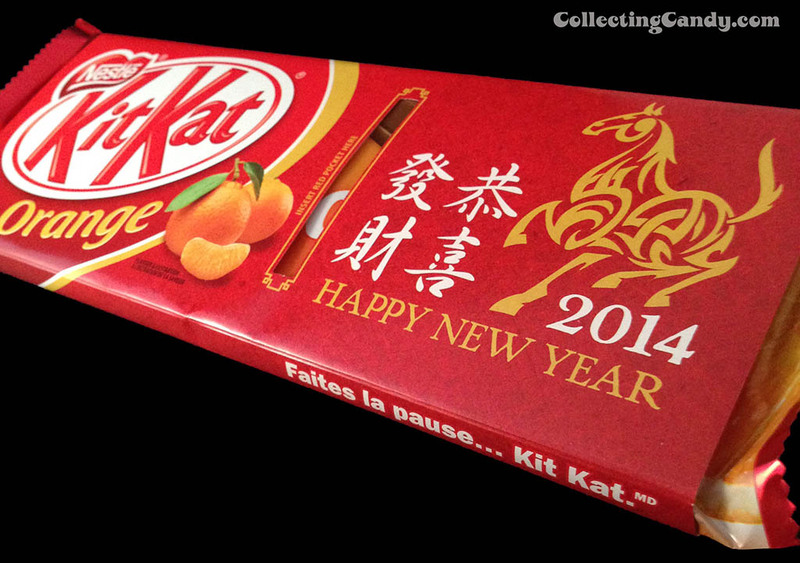 The other piece Glen found and sent my way was this special Chinese New Year edition Kit Kat Orange 8-pack. 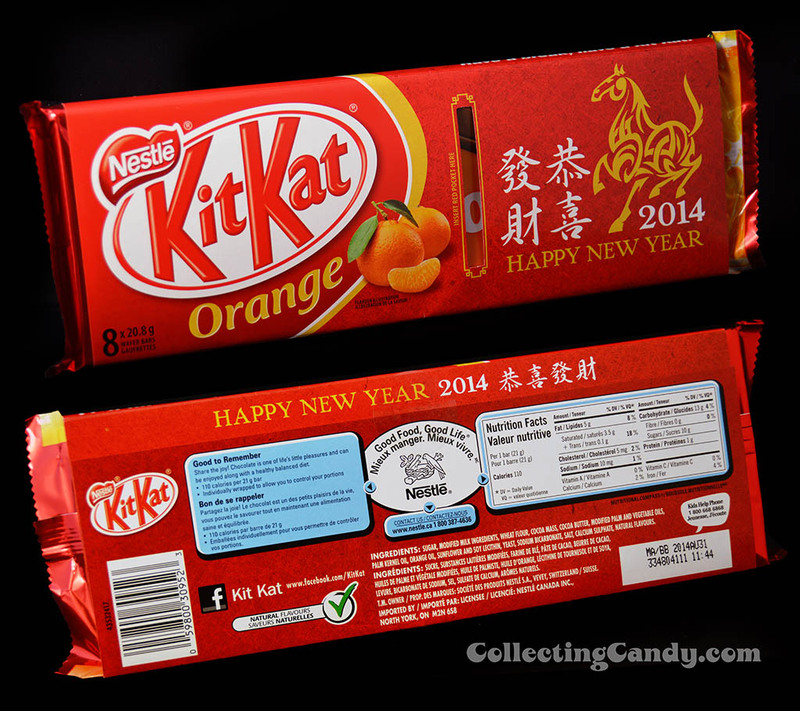 I think both of these Chinese New Year editions from Canada are pretty great. The holiday certainly lends itself to attractive packaging with a beautiful array of graphical elements to draw from. 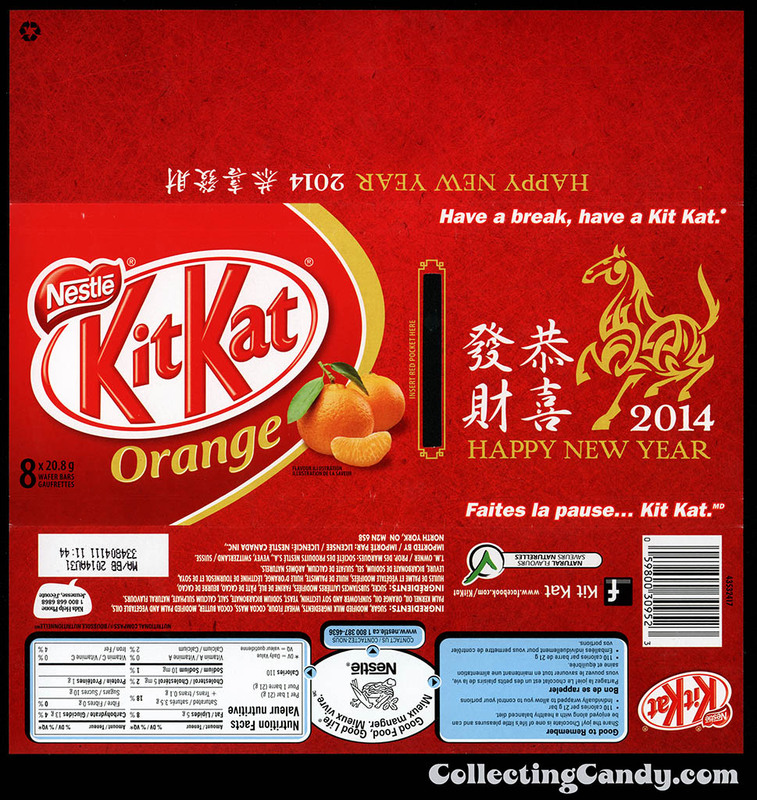 It does make me wonder how long it will before before we see confectionery companies offering Chinese New Year editions here in the States? So Happy Chinese New Year to all those that celebrate it – I hope the Year of the Horse is going to be a great one! Since we are on a Chinese theme today, I wanted to continue with a series of pieces from my collection that came from China. 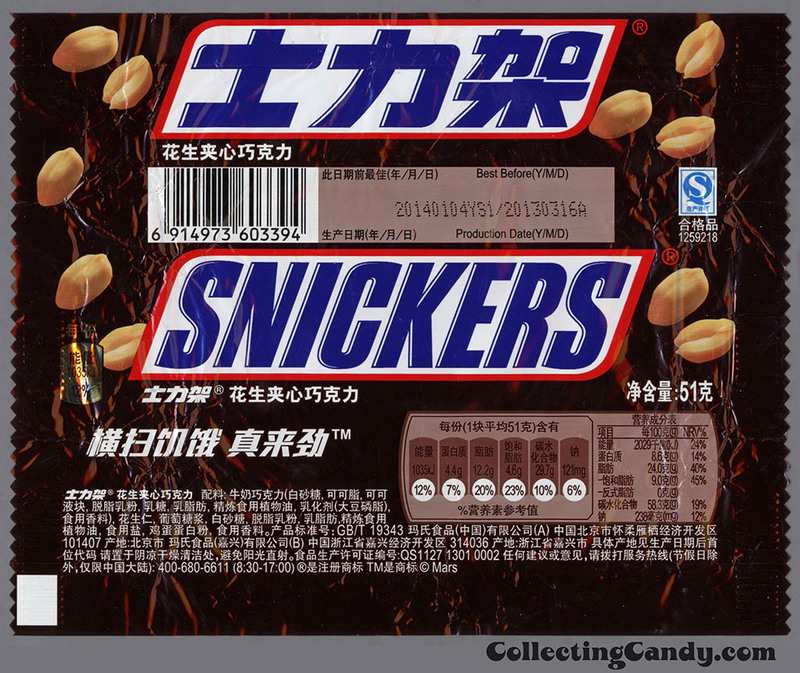 Some of my favorite candy packages to collect are brands I know offered in the native languages of the countries they were sold in. One of my favorite pieces in my collection is an M&M’s pack from the Middle East. 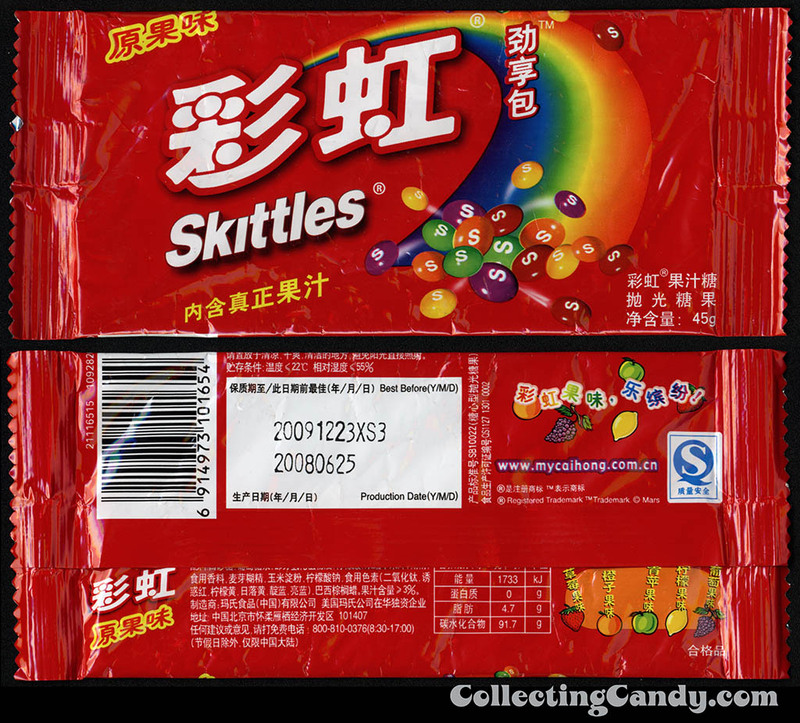 With the following candy pieces, I find them especially appealing due to the Chinese characters used. Last year, I found it fascinating to learn a little about M&M/Mars’ history in Russia – so I wondered if it was a similar story here. 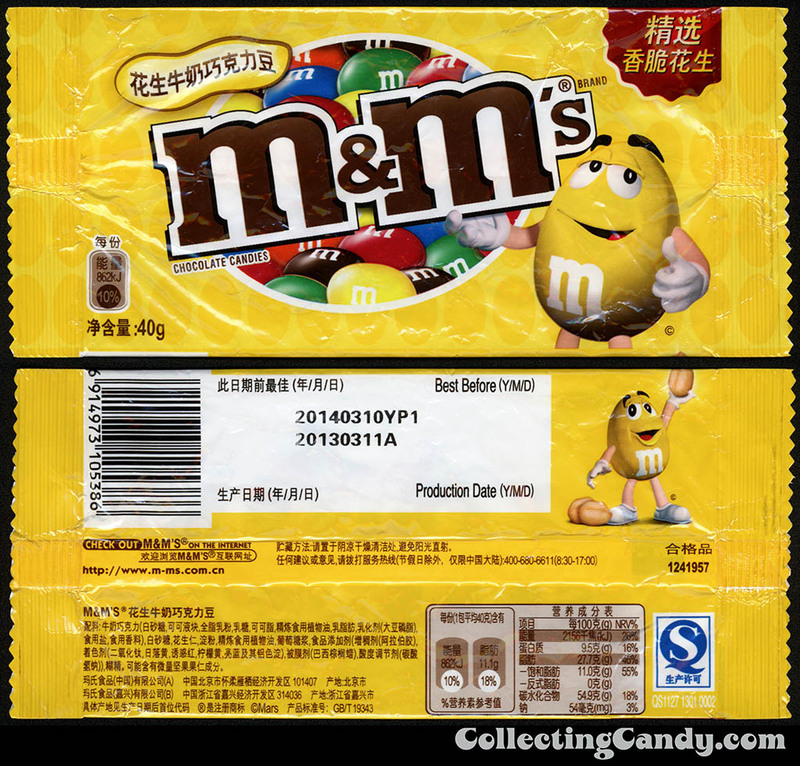 After a quick bit of research, I was able to determine that Mars established its Chinese subsidiary in 1994. 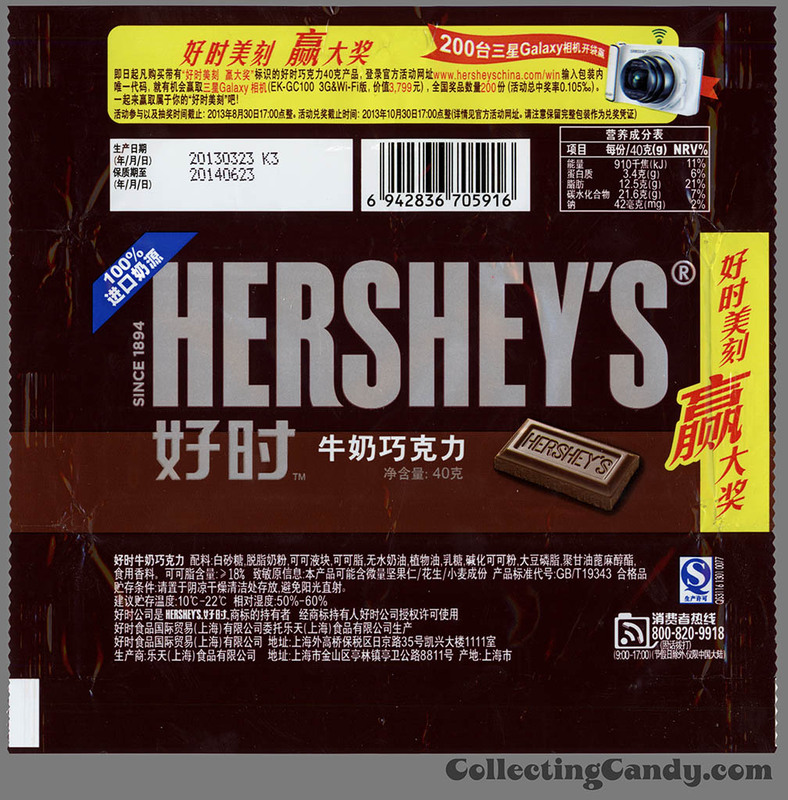 There’s something really cool about the ornate Chinese characters that makes even a plain Hershey wrapper something groovy to look at. 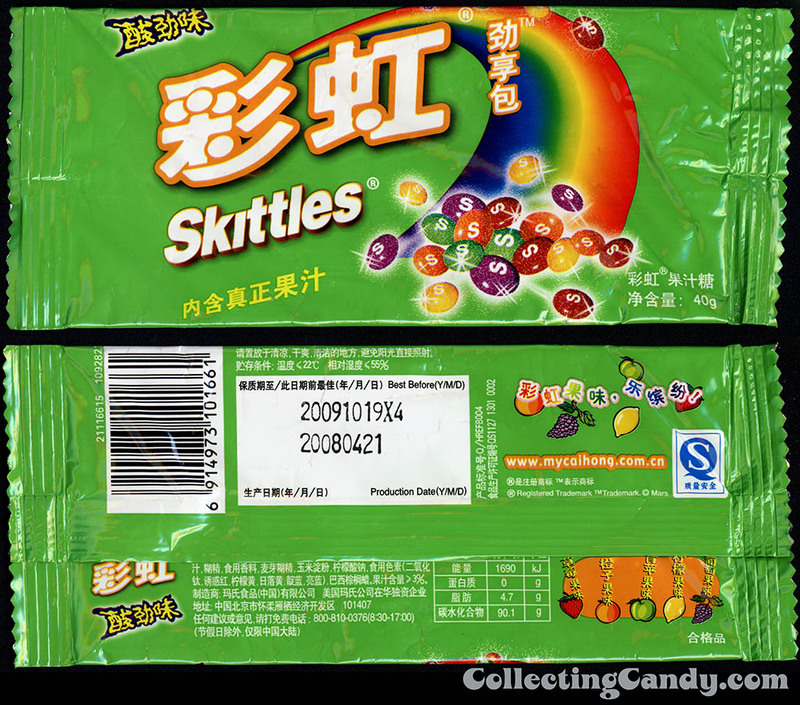 If anyone out there has traveled abroad and saved candy packages like these, I’d love to hear about it. They make for pretty neat pieces to save. That’s everything for today – I hope you dug it. 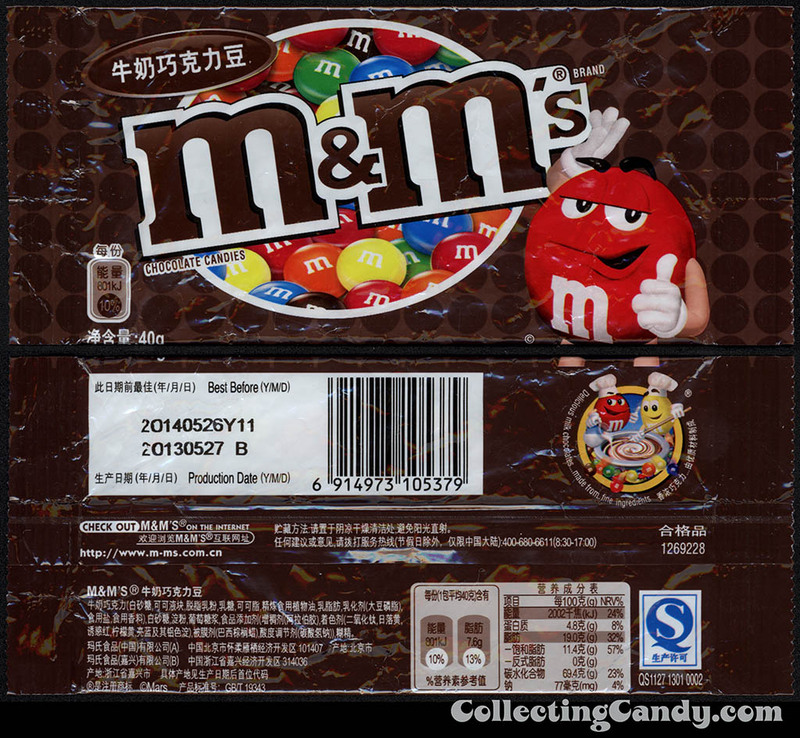 This entry was posted in Canadian, Chocolate, Hershey, Holiday, M&M's, Mars and tagged Canada, Canadian, candy collecting, candy collection, candy collector, candy wrapper collection, candy wrapper collector, China, Chinese, Chinese New Year, collectible, collecting candy, confectionery, confections, foreign, packaging, sweets, vintage candy wrapper, wrapper. Bookmark the permalink. 1 Response to Celebrating Chinese New Year 2014! The Year of the Horse!